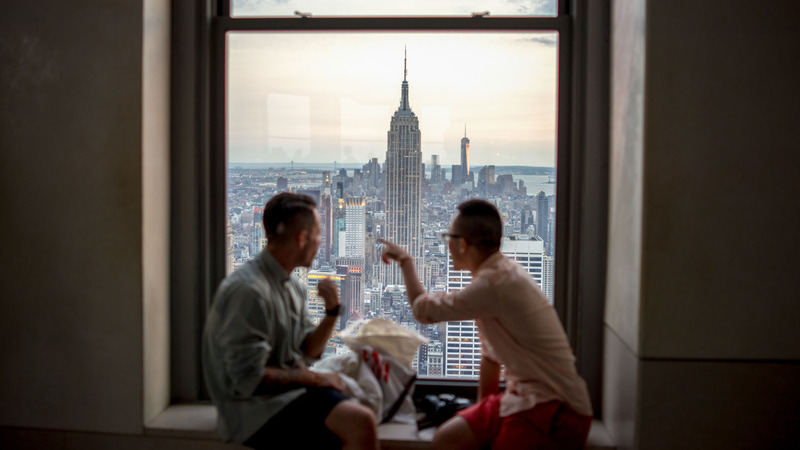 One World Trade Center might offer New York's highest observation deck, but the city's most beloved views can be seen from the Rockefeller Center and Empire State Building. Both offer their own Art Deco charm, but here's what else Top of the Rock's got! 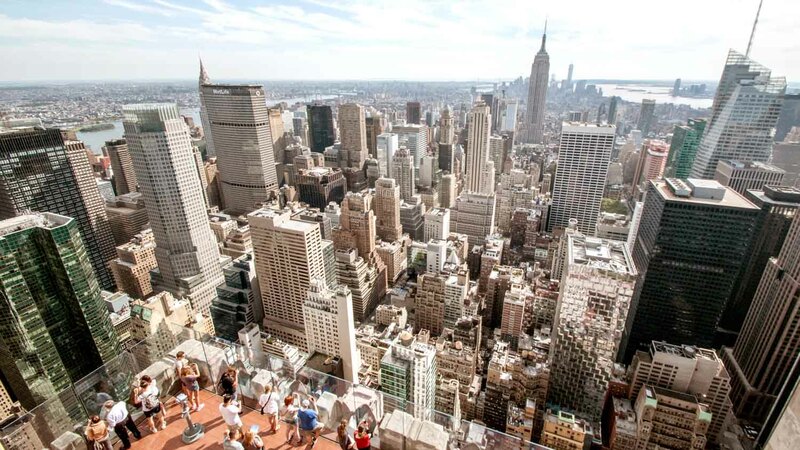 The Top of the Rock observation deck spans three stories, with each adding its own unique touches to the views over Central Park and the Empire State Building! In line with J.D. Rockefeller Jr.'s patronage of the arts, the views aren't all there is to see at the top! 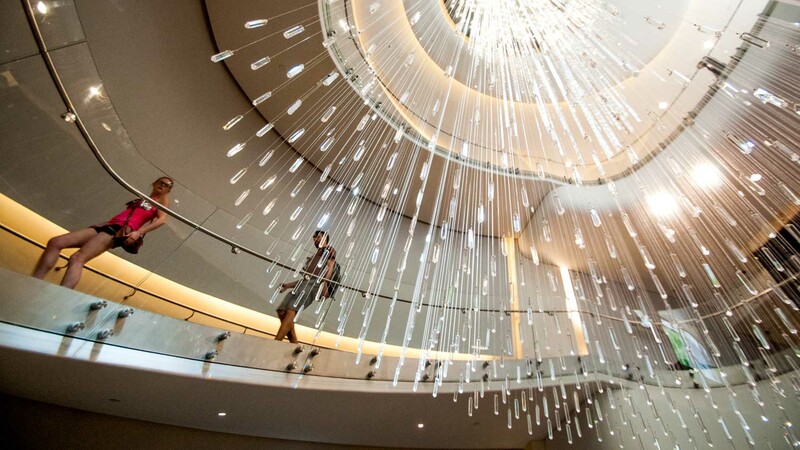 Currently featured is the dazzling "Radiance Wall" created by Swarovski. The doors close and the lights go dim. Suddenly the top clears to reveal the inner workings of the dramatically lit elevator shaft as you hurtle upwards! The way down's great too! Visiting with kids? Be sure to check out Top of the Rock's Breezeway attraction. They'll have great fun changing the colors of the room with their every move! Hands down the best reason to visit the Top of the Rock is the hub of culture swimming at its feet. The Rockefeller Center is a must-do on any New York tourist itinerary! 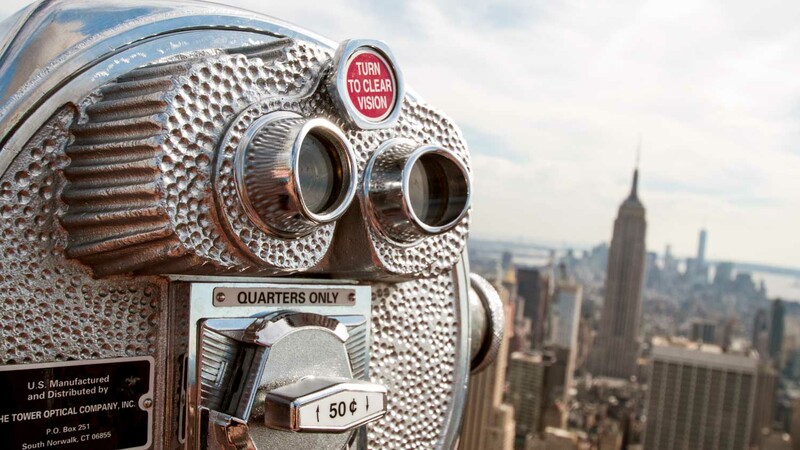 The Top of the Rock Observation Deck is open daily from 8AM till midnight. The last elevator to the top departs at 11PM. Ticket prices start at $30 for adults, with concessions for children and seniors. Tickets are available to buy at the entrance, but book online to avoid the lines. Take the subway to any number of stops around Rockefeller Center, located between 5th and 6th Ave. It's highly recommended you book online to avoid long ticket lines!